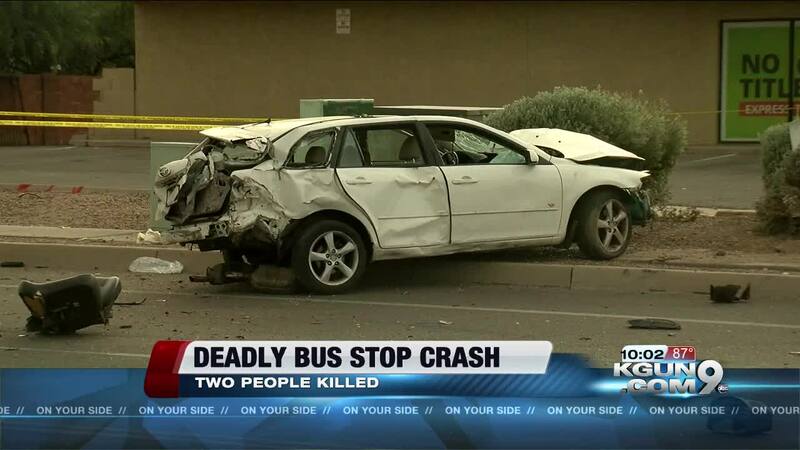 Tucson Police have released new details about the deadly crash involving a bus stop on Alvernon near Grant. Tucson Police are continuing to investigate a deadly crash involving three cars and several pedestrians at a bus stop in Midtown Tucson on Saturday. At around 4:30 p.m., the driver of a white 2004 Mazda M6 was traveling southbound on Alvernon Way at a high rate of speed, according to Tucson Police. As the car approached the intersection of Alvernon and Grant, the light turned red. Witnesses told police that the driver of the Mazda swerved into northbound lanes of traffic to go around the cars that were stopped for the red light. The driver then ran the red light and swerved back into southbound lanes, where it rear ended a silver 2008 Jeep Patriot. The Jeep Patriot hit a third car, TPD said. The Mazda spun out of control, jumped over the west curb, skid across the sidewalk and plowed through a covered bus stop where three people were sitting. The Mazda also struck a business sign, police said. Five people were taken to the hospital with serious to life-threatening injuries. The driver of the Jeep died shortly after arriving and is identified as 75-year-old James Deshler. 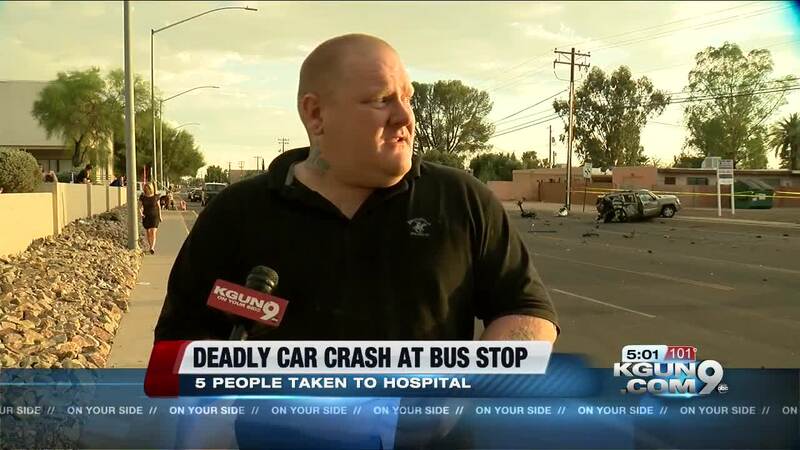 One of the pedestrians died several hours later and is identified as 65-year-old Gary Goodboy. The two other pedestrians injured at the bus stop, a man and a woman, are still in the hospital with life-threatening injuries, police said Sunday night. The adult male driver of the Mazda was treated for minor injuries and the adult male driver of the third vehicle was not injured. Alvernon between Grant and Pima was shut down for several hours as police investigated. Tucson Police says speed appears to be an obvious factor in the collision and no signs of impairment were found. The investigation is ongoing and no arrests have been made nor citations issued.